Fires are common in US, be it wildfire or house fires. Fortunately, there has been a significant decrease in the number of house fires and related losses, injuries, deaths in America. According to data published by the US Fire Administration (USFA), in 2015, around 1,345,500 fire incidents took place in the country, which was nearly 19% lower than the 2006 levels. Once you have found a secure place, follow these steps. The first thing you need to do is to immediately assess the damage so that you can make an effective insurance claim. But even before that, remember to call the insurance company and inform them of the fire at the earliest. The agent will let you know of your options at this point in the process. File the claim immediately. Unless the fire was started intentionally, your homeowner’s insurance will cover for the damage. To inspect for losses caused by fire damage, insurance companies ask for a detailed inventory of damaged objects. Make sure to include details like the brand name of the items, serial number, model, along with their purchase date, price paid, etc. You’ll need to submit the receipts as well. In case such information has been burned in the fire, ask your bank for bank statements, which show that you have paid for the items. You could also ask the store where you made the purchase for duplicate receipts. Save any photos that have the damaged items in them. They’ll be helpful too. Losing your prized possessions, bought with your hard-earned money, can never be easy. Its time you save the undamaged items from further destruction. Look for a safe place where the undamaged items can be stored. Ask your insurance company for the adjustment of additional storage costs. Nothing can be more stressful than to see your home turn to ashes. It, thus, becomes extremely important to consider fire damage cleanup, fire damage house renovation and smoke damage remediation. Moreover, you’ll need help in separating the damaged items from the undamaged ones. Look for a company with years of experience in fire restoration. 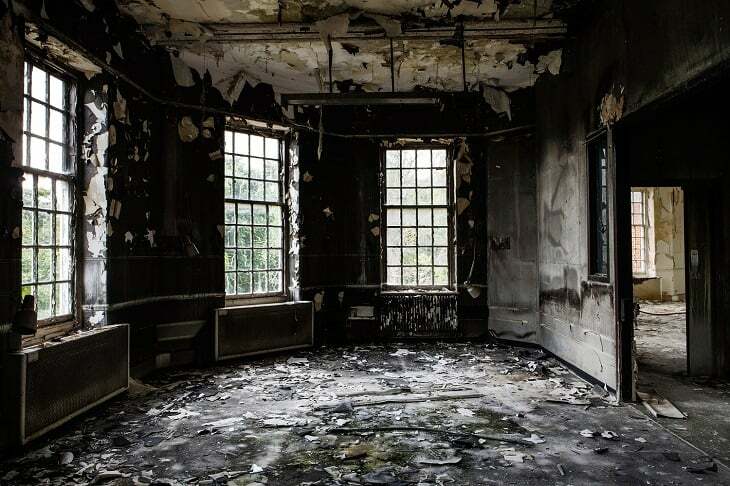 In Houston, the best fire damage restoration services also offer smoke damage restoration, taking care of all the dust, soot particles and debris, while also eliminating the burnt odor from the property structure and ventilation system. This will help give you a fresh start.